Welcome - or welcome again- She Writers! I guess I wasn't the only one who had a great time on the first She Writers Blogger Ball! What a great opportunity/excuse to explore other women writers' blogs. I learned a lot about other members of She Writes, and was thrilled to have so many visitors to my very new blog. As the title implies, this is a blog on the topic of grieving the death of a friend. It's an experience we all face, and sometimes we're surprised when we encounter a lack of respect for that grief. Here you will find examples of those experiences. Some are sad, some are funny, some are life-changing. But all point to the importance of friends in our lives. There are two topics that will be examined closely this year. There will be a monthly post on AIDS, particularly its effect on the gay community. There will also be a monthly post on 9/11. This year is the 10th anniversary, and during August and September there will be more frequent posts about those whose lives changed forever that day. Feel free to go back in the archives, or check for new posts - every Monday, Wednesday and Friday. Comments are always welcome! So, welcome, and I hope you will learn and be inspired by my blog! 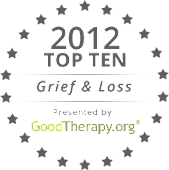 You offer such a wonderful and welcoming place for people to express their grief. Brava! Hi Victoria! I'm visiting your blog to see what a Blogger Ball Redux post looks like. Off to work on mine. Congrats on a great blog! Love the look and the mission. K.
Such a difficult topic to blog on, Victoria. But you do it quite beautifully. Hi, I'm visiting from the She Writes Blogger Ball. What a powerful topic! I have another blog on post- abortion. I give you kudo's for tackling the subject matter you talk about. I am a new follower also. What lovely comments, ladies! Thanks for being so supportive! Victoria, I have popped in from She Writes to say hello. This is an interesting blog on a difficult topic - wishing you all the best with it. I just discovered your blog on the She Writes Ball. Thanks for writing about such an important and often misunderstood topic. I have a character who is confused by grief in one of my writing projects and I will have to read through your blog for some more perspective. Thanks, vinobaby (love that!). I'm not a professional, but if there's anything I can do to help, just ask! Hello, Victoria, fellow SheWriter here. Your blog covers a topic I've never seen addressed before...kudos to you to do it. I can imagine that it is difficult to write about death, not everyone can do it. I wish you much success with it and will be stopping by often to read your words of encouragement for the grieving. Great to find you here Victoria. You have a lovely blog that touches on some difficult topics, but we all have times of grief in our lives and it's so nice that you are putting your words out there. I know they will help others! Hi Victoria, thanks for your nice comment on my blog. I mourn my old vinyl too! I've massive respect for any blog that deals wih the subject of death - our rituals are often not as meaningful as we would like them to be and this is a great outlet. Hope the blog goes from strength to strength. Hi Victoria! Good to find you here. I am a visitor from She Writes and I like how you write on such a difficult topic. I, too, am visiting from Meg's blog, and I'd like to make an original comment, but I think all the others have beat me to it. Good luck to you as your continue with this blog. I hope the readers who need to hear what you say find you. Hi Victoria, I'm also part of the SheWrites Blogger Ball Redux, and just wanted to say hi! Your blog is important. It's difficult to broach subjects that are often socialized as 'untouchable'. Congratulations!